Our surroundings continually send messages to our brain that determine how we react, how we feel and how we store and categorize memories surrounding the events that take place within those surroundings. When it comes to the surroundings of your business – image is extremely important and it’s one of hundreds of factors that play a part in determining success from an internal (employee) standpoint and an external (consumer) standpoint. As the population continues to grow, so too do the number of businesses in any given market including your own; to stay competitive, you have to become something that your competitors are not – even if you’re offering virtually the same products and services. Likewise, there are vertical markets within every niche. Always keep in mind that you can’t be something to everyone. You’ll have to choose your customer niche carefully then do what you can to leverage your message – especially with your brand and image. You must brand yourself in a way that sets you apart. “Branding By Interior” e-book is the only book written on this subject at this time. It brings insight on how you can turn your business into a market-dominating competitor. New findings that reveal how advertisers and marketers intentionally target children. Shocking results of an fMRI study which uncovered what heterosexual men really think about when they see sexually provocative advertising. How marketers and retailers stoke the flames of public panic and capitalize on paranoia over global contagions, extreme weather events, and food contamination scares. The first ever neuroscientific evidence proving how addicted we all are to our iPhones and our Blackberry’s. How companies are secretly mining our digital footprints to uncover some of the most intimate details of our private lives, then using that information to target us with ads and offers ‘perfectly tailored’ to our psychological profiles. How certain companies, like the maker of one popular lip balm, purposely adjust their formulas in order to make their products chemically addictive. 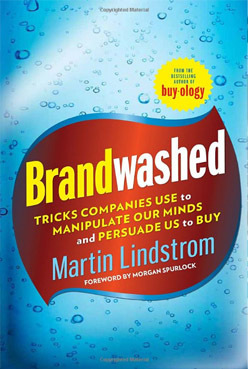 What a 3-month long guerilla marketing experiment, conducted specifically for this book, tells us about the most powerful hidden persuader of them all. This searing expose introduces a new class of tricks, techniques, and seductions – the Hidden Persuaders of the 21st century- and shows why they are more insidious and pervasive than ever. Read more HERE!